4 Ways to Stick to Your Fitness Routine This SummerProven tips and tricks! Don’t let days out mess with your workouts—here’s how you can have both. I know from first hand experience that it can be extremely difficult to keep a structured exercise regime and healthy eating plan going during the summer months. Between holidays, lack of routine for some of you due to kids being off school, to all those lovely temptations that seem to become even more tempting at this time of year. With that being said, here are some useful tips to help keep you on track…. Take in the magnificent view from the top of Slieve na mon. Be brought back to nature at Mahon falls. 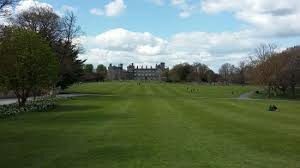 A morning jog around the grounds at Kilkenny Castle. 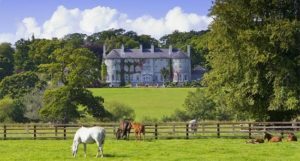 Some afternoon sprints in Mount Juliet followed by some light refreshments at the old house. 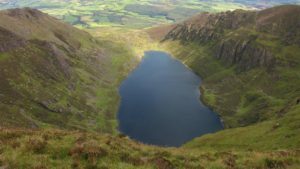 Get completely away from our fast paced society at Coumshingaun lake. 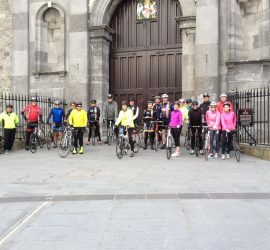 If you happen to have a bike, get out with the Marble City Cyclists on a Sunday morning. 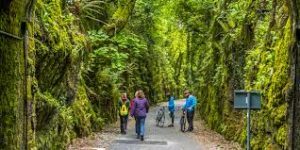 Take the Express Way on Waterford Greenway! Look, you are only human. Things will happen, things will get in the way and you will slip from time to time. But guess what, it’s OK. I know when the sun is shining, everyone feels better in themselves, we tend to get out and enjoy ourselves more and this can usually lead to significant changes in our eating habits. And that is fine – you and only you has control over your choices, so firstly, have that ice-cream or that refreshing alcoholic drink without feeling guilt, but don’t let it completely get you off track. YOU control the outcome and the response. As I am writing this I am having a glass of red. Why? I find it helps me relax and focus after a busy week. One question I get asked a lot this time of year is ‘What will I do while I am on holidays or away?’ Simple, bring your workouts with you. Technology has made this so easy for us – we now have access to numerous fitness apps such as the Nike Training app which allow us to workout anywhere and with minimal (if any) equipment. Also, you can purchase some very affordable equipment basics from the likes of Lidl and Aldi. These pieces of equipment might not be commercial grade but they are very versatile and can allow you to incorporate numerous exercises into your workout. What inspires and motivates you to become healthier and fitter? It could be anything from just wanting to adopt a healthy lifestyle for longevity, avoiding (as much as possible) certain diseases or just wanting to look a certain way etc… Some people are motivated by fear, some by aesthetics or an event such as a holiday or a wedding. Then you have the rare minority who don’t rely on motivation – they have chosen to live a healthy lifestyle. Want to stay on track for the summer and for the foreseeable future? Then I suggest you try your hardest to get yourself into the last category because that’s where the excuses and the reverting stops and the magic happens. If you feel you are FINALLY ready to make the right changes in your health and fitness, please get in touch to book your free consultation. Is Will Power a Mental Muscle You Can Train?